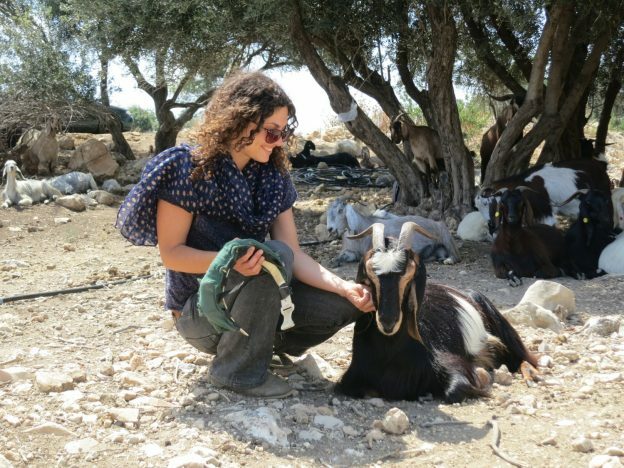 Ella is a M.Sc student in Urban and Regional Planning at the Technion, and the Agricultural Research Organization. Her study concerns evaluation of grazing services, and the spatial and socioeconomic characteristics of goat herding in Mt. Carmel. Ella has a B.Sc.Agri. in Animal Science, Nature Conservation and open landscape management – Hebrew University of Jerusalem (2011). Her main focus is on human-nature ecology, with an emphasis on grazing, forest, scrubland and fire interactions. This entry was posted in Alumni on 22/12/2015 by Tomer Gueta.